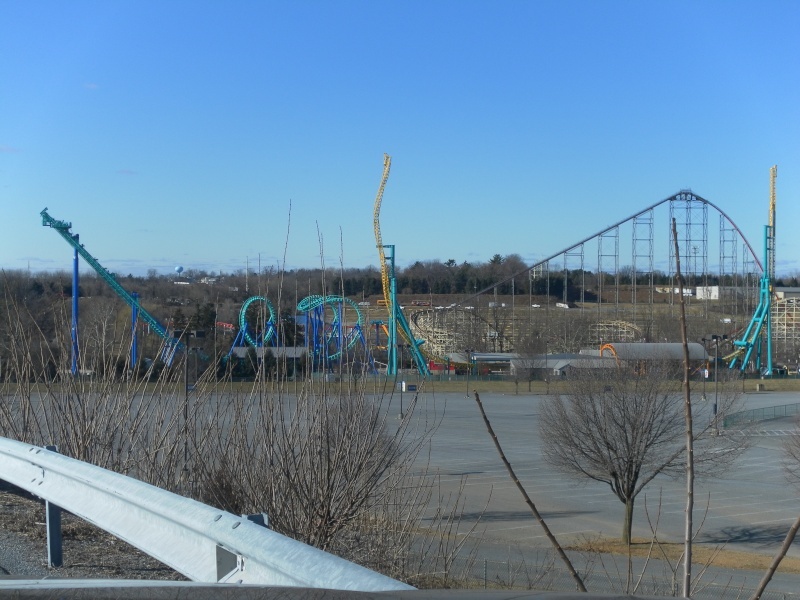 Discuss Dorney Park's new coaster for 2012, Stinger, here! 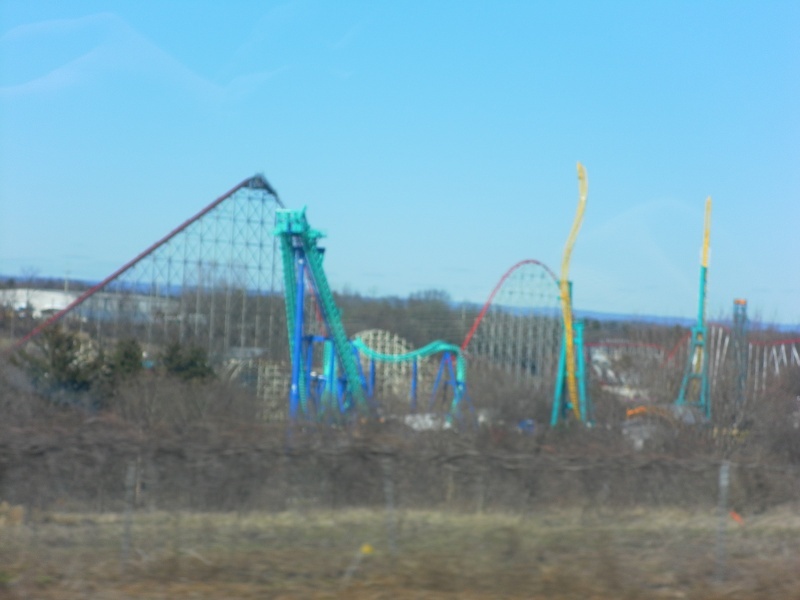 I am excited Hershey is getting another Coaster. I just wish it was a brand new Coaster instead of a 'used' Coaster. Hopefully this Boomerang will be smooth. 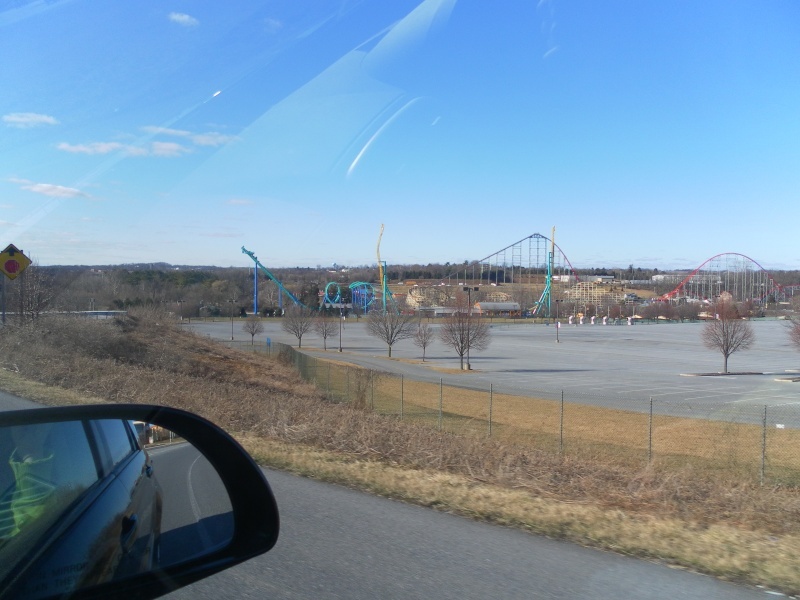 I also rode Invertigo at Kings Island and I was impressed with it because it was one of Vekoma's best. Hopefully Stinger will be the same. Stinger is actually one year "older" than Invertigo. 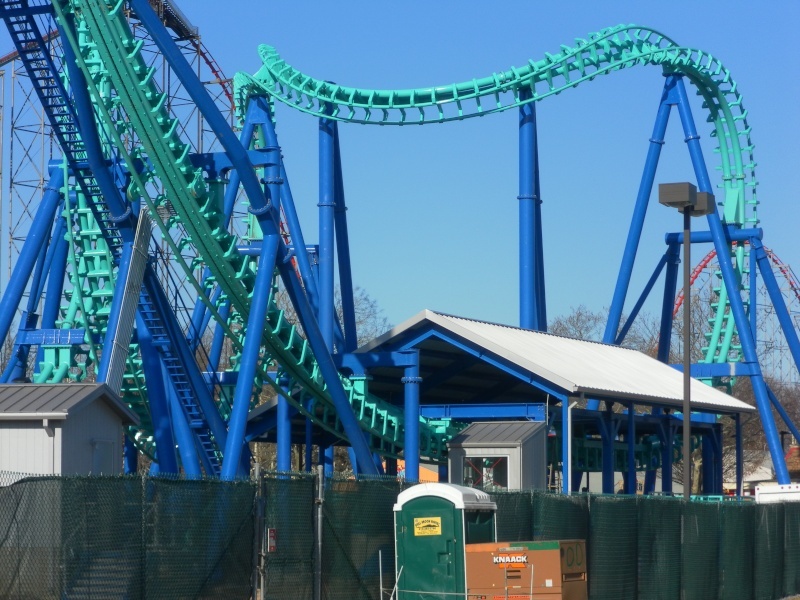 It originally opened at CGA in 1998 as Invertigo while KI's Invertigo opened as Face-Off in 1999. So I don't know what one year would make. 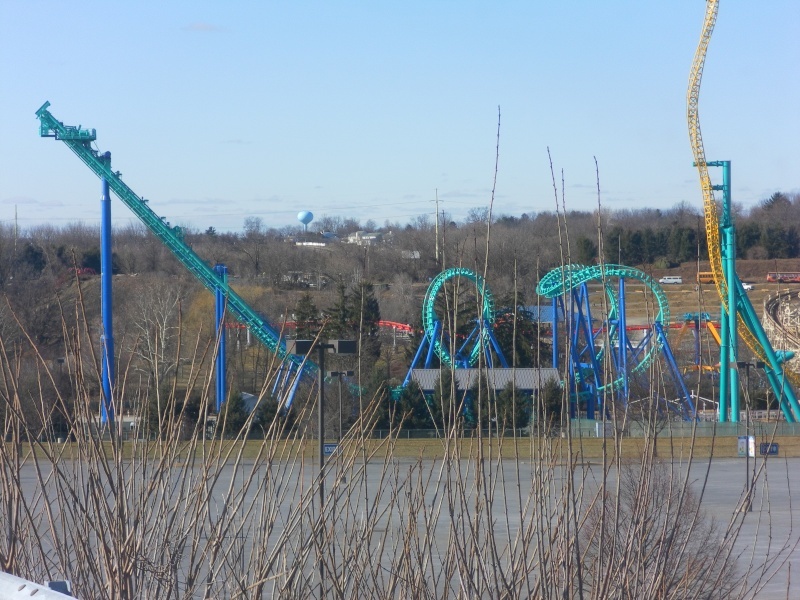 Will be visiting Dorney in the next few hours and will get some pics of Stinger and hopefully post them online later today! AWESOME! I can't wait to see them. 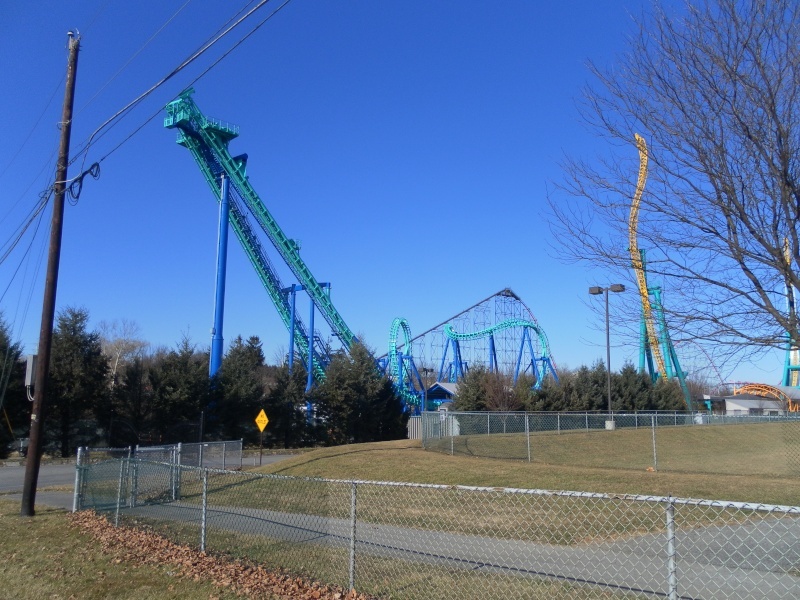 Picture of all four Coasters! GREAT pics ! Thank you very much for the update! The ride went up fast... very cool update! It went up very fast! I suppose that's because it's a short track length. When is scheduled opening day? Or does DP open their new rides with the park? Sign is up!! Get pumped up everybody! I saw that pics last night - thanks for putting it up! The ride looks great, considering that it's a used attraction. I LOVE the logo, and the sign! Could we please have another update someone? The last one was on February 27.... Its march 7 now and nothing new has shown up? We'll do our best to get one as soon as possible. Wow might I say that looks amazing thank you for that personal update! I'm going there on May 19th for a school trip, I hope it's open by then! If not in going June 19th for a trip... Can't wait! Are there any sign of trains anywhere? Nice. It will be a good atrraction to that park. Hope to see some Povs of the ride this summer. That night station pic looks nice. Hopefully their next coaster will be a well needed woodie. Any word if trains are on site? I'm sure they are. They were probably shipped out along with the rest of the ride. What I meant is if they're on the track. Click the link to see the train, sorry it didn't all fit! Does anyone know, will the trains be staying that color? That may be a stupid question, but just thought I'd ask. Those supports were cool in the 90s. I don't like them in Dorney now. Why's that? I think the ride actually looks better now then it did back then. 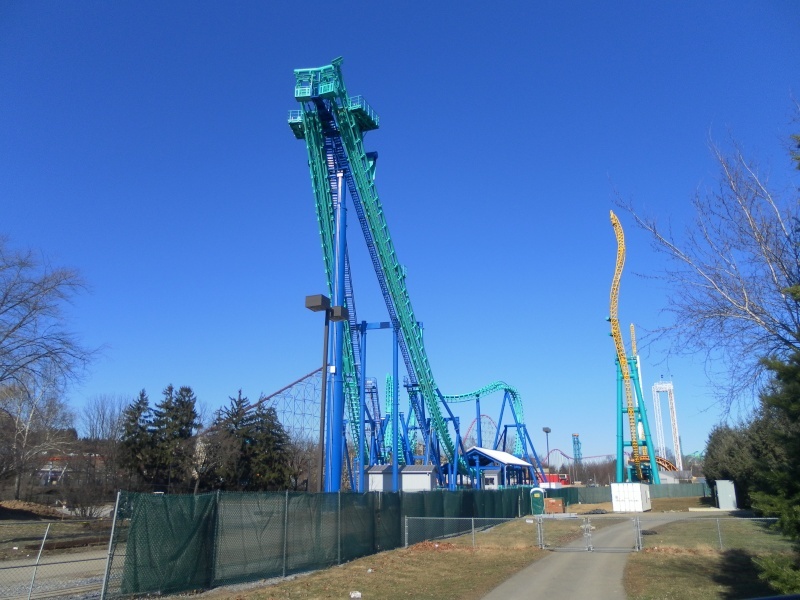 All-American Thrills was at Dorney Park today for the opening of Stinger. We will be having a detailed PTR of our day coming soon so stay tuned! ^ Saw your guys's post of Facebook! I can't wait to see the PTR! Our PTR from opening day will be coming later today!